March 10, Tucson – The stuntman is the individual willing to the dirty work. The man who, while the star is in his trailer, is willing to fall off the roof, get run over by the horses or mix it up in a brawl scene. 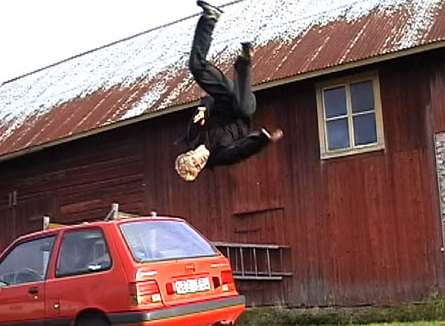 In 2007, Edgar Gonzalez was the stuntman. Randy’s not ready, Edgar will go. Team getting blown out, Edgar will eat some of the innings for you. On June 13 at Yankee Stadium, Livan Hernandez took one on the chin, three homers, seven runs allowed in just four innings of work. Edgar grabbed the ball and went three shutout innings in a blowout saving the bullpen for an upcoming series against the Orioles at Camden Yards. In that series in Baltimore, Edgar again took the bullet. With Randy Johnson unable to make his start, Edgar made himself available on two, that’s right two days rest and answered the bell in Randy’s place. In that start, he went five innings, allowed two hits, and just a single run, outdueling Daniel Cabrera and pitching in a win as part of a three game sweep of the O’s. In his seven starts from April 21 to September 16, Edgar went 3-1 with a 3.16 ERA, allowing just one run in five of those seven starts. Here is a guy that could have packed his spikes out of frustration several years ago. In his first 15 big league starts went 1-13, while allowing 3 earned runs or less in 8 of those starts. In his next 14 starts, including last season, he is 6-4, with a 4.04 and has allowed three earned runs or less in 10 of those assignments. What makes it a bit more challenging is that he isn’t always quite sure when those assignments will be. I would imagine teams might call with interest in Gonzo as injuries occur and starting pitchers are needed, and if he were to go, his shoes would be tough to fill. Yusmeiro Petit, Billy Buckner and Juan Gutierrez are all capable candidates to step in, but here’s hoping that they could handle a New York/Baltimore in three days type of assignment. Every team needs a stuntman to make their stars look good. No stuntman, no box office hit in October. January 10, Phoenix – Happy New Year! I got caught up in the Christmas rush and never dropped in the Dan Haren interview I enjoyed doing just before the holidays. This takes you beyond his numbers and standing in the big leagues and will allow you to get to know Haren a little better. He seems like a great fit beyond the obvious reasons. December 19, Phoenix – Happy Holidays everyone. 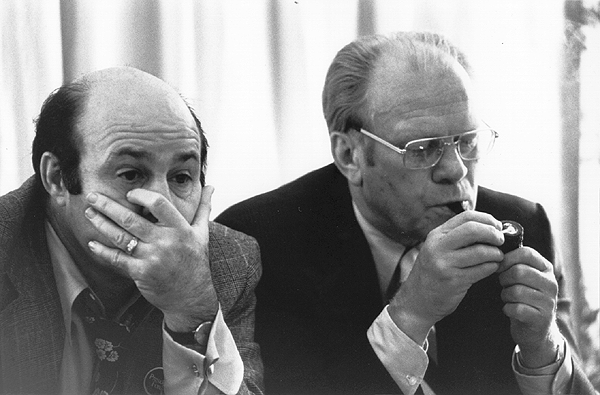 Here are the third and fourth parts of my memorable conversation with Joe Garagiola. 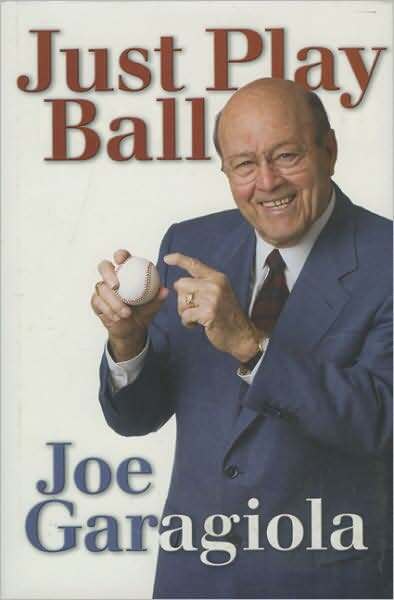 Don’t forget that Joe’s book "Just Play Ball" carries that same kind of optimism and heart surrounding the game of baseball as was heard in those conversations. 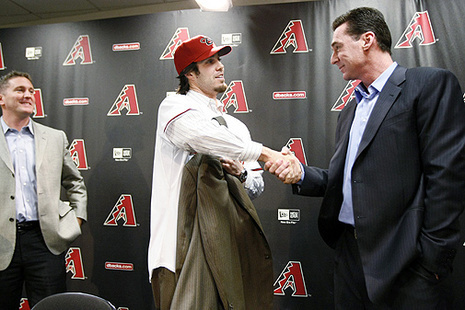 I had the chance to have a quality conversation with new Diamondback Dan Haren on Tuesday. It will be posted in a few days. In the meantime, many wishes to you and those important to you at this time of year and let the countdown to pitchers and catchers begin. P.S.-Do you see Joe in this pic? 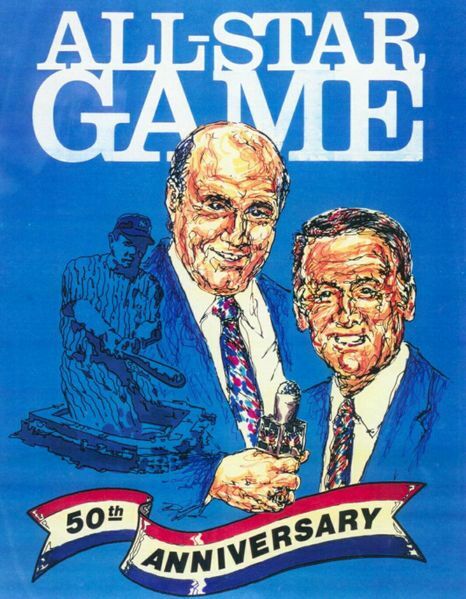 Joe went into the Hall of Fame as a broadcaster in 1991, here’s hoping legendary and classy Blue Jays voice Tom Cheek gets his call as the Ford C. Frick Award winner for broadcasting excellence this time around. Cheek passed away in 2005 and was taken from all of us far too soon. Tom was best known to Canada’s baseball faithful as the man who had a streak of 4,306 consecutive games called. To me, he was a friend, a colleague and a mentor..and one incredible game caller. Let’s celebrate Tom in Cooperstown in the not so distant future. So How Can My Guys Get You Out?